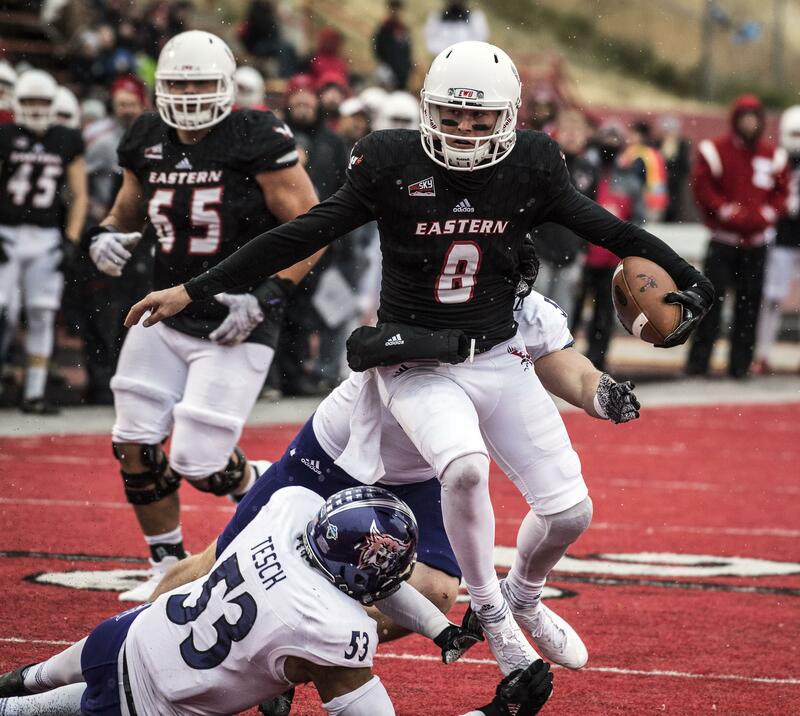 Eastern Washington quarterback Gage Gubrud was named to the STATS FCS preseason All-American third-team Tuesday. Idaho offensive lineman Noah Johnson was named to the second-team and Idaho linebacker Kaden Ellis was named to the third-team. Fifteen players from the Big Sky Conference were recognized, including five first-teamers: Montana linebacker John Buss, UC Davis receiver Keelan Doss, Portland State tight end Charlie Taumoepeau, Southern Utah offensive lineman Zach Larsen and Weber State offensive lineman Iosua Opeta. Eastern Washington opens its season Sept. 1 at home against Central Washington. Idaho opens its season on the same day at Fresno State. Published: July 31, 2018, 9:03 p.m. Updated: July 31, 2018, 9:11 p.m.